This is the first book written in English by Valeria Luiselli and I’m delighted to say it’s been longlisted for the Women’s Prize for Fiction. I’ve read only one of her novels, The Story of My Teeth, which I loved but which I gather isn’t typical of her work. Lost Children Archive is a response to the journeys made through the most dangerous terrain by those hoping to find their way across the Mexican border into the United States, many of them unaccompanied children. It explores the story of these children through one family who are travelling from New York to Arizona, their future uncertain. Two unnamed parents set off from New York city with their children – his ten-year-old son and her five-year-old daughter – each with different projects to pursue when they reach their destination. They are both archivists of a kind, recording soundscapes as a way of exploring stories, but each has a very different approach. Their marriage is foundering, their future undecided although he intends to stay in Arizona documenting the Apache nation while she plans to record what is happening to migrant children, spurred on by her friend’s plea to look for her two daughters. As they cross the country, the children entertain themselves playing games reflecting what they hear on the radio, the audiobooks their mother has selected and the Apache stories their father tells them. They stop in motels where the parents fight quietly, convincing themselves their children can’t hear. The closer they come to the border, the more they hear about the migrant children, many about to be deported. Aware of his parents’ unhappiness, the boy decides to take action in the hope of bringing his parents back together. Where to start with this immensely ambitious, contemplative novel? It begins from the mother’s perspective then switches to the son’s whose narrative echoes the structure of his mother’s. Each of their accounts is rich in literary allusion: the mother reads from Elegies for Lost Children, a book apparently based on the Children’s Crusade echoing the migrant children’s journeys and itself stuffed with literary references, which the son takes up. There’s a useful list of works cited in the back if, like me, you’re not as formidably erudite as Luiselli which helps elucidate many of these allusions. There are stories within stories throughout this novel but at the heart of them all are lost children, the way that they are failed, sometimes cruelly, and the necessity both of recording their fate and of bearing witness to it. It’s far from an easy read – there’s a long dense passage with little in the way of punctuation that almost defeated me – but it’s both thoughtful and thought-provoking. A humane and at times beautiful response to a desperate global problem. This entry was posted in Reviews and tagged 4th Estate Books, Contemporary American fiction, Lost Chidren Archive, Migrants in fiction, Valeria Luiselli on 8 March 2019 by Susan Osborne. I like to start these previews off with a book I can heartily recommend and I’m delighted to say that’s easy this April as two of my 2015 favourites hit the shops in paperback. Hard to choose which I enjoyed most so I’m starting with one and ending with the other. Franz-Olivier Giesbert’s wonderful Himmler’s Cook took me on a romp through twentieth century history. At the age of one hundred and five, Rose has decided to write her memoir and she’s got a lot to get off her chest. Born in a tree somewhere near the Black Sea in 1907, Rose has travelled the world but always returns to Marseilles where she still runs a restaurant. She’s a believer in ‘the forces of love, laughter and vengeance’ a credo that’s got her through the Armenian genocide in which the rest of her family perished, the horrors of the Second World War when Himmler took a fancy to her, and the miseries of Mao’s Great Leap Forward when she lost her second husband. Rose is a fabulous character and, unlikely as it may seem, there’s quite a lot of knockabout humour amidst the genocidal activities of the various despots she encounters. Jill Alexander Essbaum’s protagonist in Hausfrau is the antithesis of Rose, living a life in the Zurich suburbs so attenuated she’s almost faded into its background. Anna is an American who moved to Switzerland with Bruno nine years ago when pregnant with their oldest son. Bruno has settled back into Swiss life, living a short walk from his mother, but Anna has never felt she belongs there, speaking only the most basic German. Her psychiatrist has suggested she join a language class which might make her feel more of a participant than a bystander. 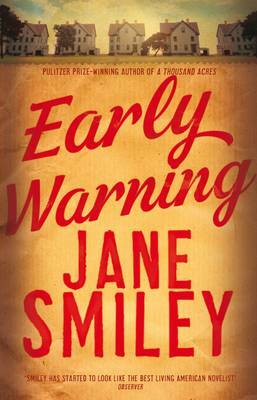 Soon, Anna begins an affair and over the course of three months, finds herself embroiled and beleaguered until a calamitous event shakes her to her core. Essbaum’s language is striking and Anna’s story well told. Well worth a read. The next three are new to me, although I’ve had my eye on Owen Sheer’s I Saw a Man for some time. It’s about Michael Turner who has lost his wife and is now living in London next door to the Nelsons with whom he has become close friends. For Michael, the Nelsons represent everything he has lost but their friendship is a solace to him until a catastrophe changes everything. The synopsis sounds a little trite but Sheers is a fine writer with a reputation for lyrical prose and I suspect his book will be worth reading for that alone. 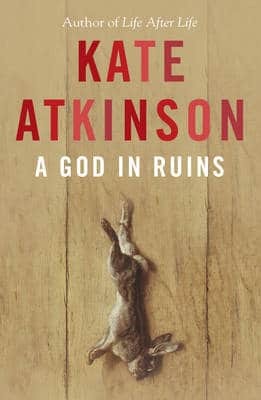 The same could be said of Robyn Cadwallader’s The Anchoress which is set in 1255 but Elizabeth Gilbert’s description of it as ‘so beautiful, so rich, so strange’ has piqued my interest. 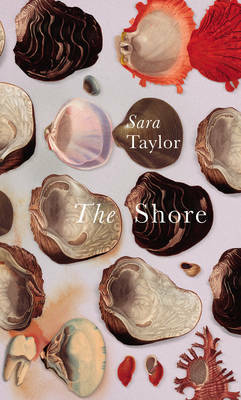 Sarah is seventeen when she decides to be an anchoress, shutting herself away in a tiny cell beside the village church. She’s turned her back on the world and devoted herself to prayer in an attempt to escape her grief for her sister and her family’s determination that she should marry. Things, of course, are never so simple. ‘Cadwallader’s powerful debut novel tells an absorbing story of faith, desire, shame, fear and the very human need for connection and touch. With a poetic intelligence, Cadwallader explores the relationship between the mind, body and spirit in Medieval England in a story that will hold the reader in a spell until the very last page’ say the publishers. I’m rounding things off with my other 2015 favourite, Valeria Luiselli’s The Story of My Teeth which was commissioned as part of an exhibition by the Mexican juice factory that appears in the novel. Inspired by the nineteenth-century Cuban practice of employing a ‘tobacco reader’ who read to the workers to relieve their boredom, Luiselli arranged for her fiction to be read to the juice factory workers in instalments, incorporating their suggestions into the next episode just as Dickens did with his serialised novels. Ostensibly the somewhat outlandish story of Gustavo Sánchez Sánchez, aka Highway, who has one aim in life – the perfect set of gnashers – the novel’s really about the art of storytelling. Often witty and fantastical, it’s a brilliantly original piece of work and translator Christina MacSweeney’s Chronologic is a wonderful finishing touch, putting Highway’s life into context and illuminating his many allusions. That’s it for April paperbacks. A click on anything I haven’t already reviewed will take you to a fuller synopsis should you want to know more. If you’d like to catch up with new titles for the month they’re here and here. This entry was posted in Random thoughts, Reviews and tagged Anthea Bell, Christina MacSweeney, Franz-Olivier Giesbert, Hausfrau, Himmler's Cook, I Saw a Man, Jill Alexander Essbaum, Memoirs of a Dipper, Nell Leyshon, Owen Sheers, Paperbacks published in April 2016, Robyn Cadwallader, The Anchoress, The Story of My Teeth, Valeria Luiselli on 28 March 2016 by Susan Osborne. This is my second Mexican novel in just over a month: another slim little number which you might consider gulping down in a few hours but, as with Yuri Herrera’s Signs Preceding the End of the World, you’d be wrong. There’s a great deal to absorb in Valeria Luiselli’s ‘novel-essay’ as she calls it, even more when you get to the end and find a fascinating schematic chronology of the protagonist’s life followed by an afterword explaining the impetus behind the book which made me realise I needed to go back to the beginning and start all over again. Lest this makes it sound like a ticksy bit of literary self-indulgence I should say now that it’s a triumph: one of the most interesting pieces of fiction I’ve read in some time. Gustavo Sánchez Sánchez, aka Highway, has one aim in life: the perfect set of gnashers. Aged forty, having spent nineteen years as a security guard for the local juice factory’s art gallery, he spots an opportunity and sets himself up as an auctioneer – a teller of stories persuasive enough to make the punters buy anything, even his own teeth. After an illustrious, peripatetic career he settles back down in his home town, choosing the Calle Disneylandia in Ecatepec on which to build a home and a warehouse fit to house his lifelong collection of artefacts. All seems set for his Grand Auction until the local priest approaches him to help raise money for the parish, hit by the financial crisis that has dented Highway’s own livelihood. Nemesis in the shape of his son, not seen for decades, catches up with him but a chance meeting with a budding writer puts him back on his feet again and soon he’s dictating the ‘autobiography’ of his teeth. You may think that all sounds a little outlandish but it’s the barest of bones when it comes to this jigsaw puzzle of a book. It’s all about storytelling. Divided into six parts, beginning with The Story then progressing through four schools of auctioneering plus one devised by Highway himself, Luiselli’s book is a rich mix of cultural and literary references, tall stories and comedy. Highway is endlessly entertaining, a man of many tales and immense confidence who auctions his lots with ‘an elegant surpassing of the truth’. The ‘allegoric’ section is rich in witty, eccentric sometimes fantastical stories and littered with references to a multitude of writers including Luiselli, herself, and the aforementioned Herrera. And there are teeth, of course, many of them: after all, they are ‘the true windows to the soul’. Translator Christina MacSweeney’s Chronologic is the brilliant finishing touch, putting Highway’s life into context and illuminating his many allusions. Teeth, here, too – who knew that Churchill’s teeth had been auctioned in 2010? They went for £15,200 apparently. No mention of the £500,000 advance paid for Martin Amis’s The Information which allegedly paid for his teeth to be fixed, though. After all this Luiselli’s Afterword is the icing on the cake. We learn that there really is a Mexican juice factory with a gallery attached and that they commissioned what was to become The Story of My Teeth as part of an exhibition. Inspired by the nineteenth-century Cuban practice of employing a ‘tobacco reader’ who read to the workers to relieve their boredom, Luiselli arranged for her fiction to be read to the juice factory workers in instalments, incorporating their suggestions into the next episode just as Dickens did with his serialised novels. I’d love to think that it was one of the workers who came up with the idea of a man who makes Chinese fortune cookies and speaks in Latin. An extraordinary book, truly original – and I don’t say that very often. 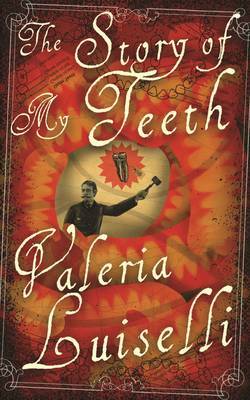 This entry was posted in Reviews and tagged Christina MacSweeney, Ecatepec, Granta Books, Jumex, Mexican fiction, The Story of My Teeth, tobacco readers, Valeria Luiselli on 24 April 2015 by Susan Osborne.